This Employee Absence Report Form is included in editable Word format that can be customized in Word or by using the included Wizard software. How do you write a Employee Absence Report Form document? Employee Absence Report Date Reported Current Date. Employee: First Last Job title of signator, authorized signature or signer. Contract Job Title Department: Department Supervisor: Supervisor Period of Absence Start Date to End Date. Supervisor must complete the following form and file it with the Human Resources Department. 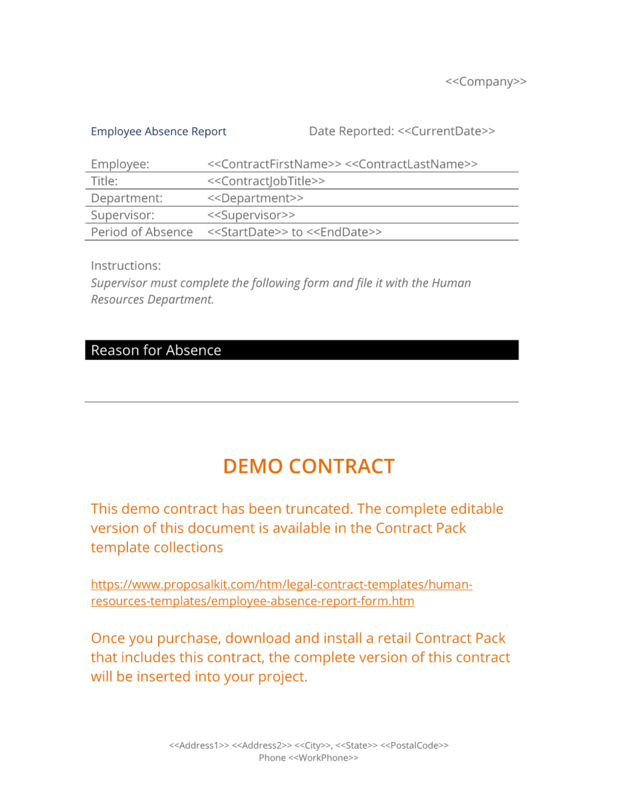 The complete Employee Absence Report Form - with the actual formatting and layout - is available in this Contract Pack.